If you are a frequent flyer you probably feel that you get sick after every trip. Was it the food, drinks or the airplane flight? Various studies show that airline carriers are often a portal for the common cold. In fact some studies have found that your risk of catching the common cold is as high as 20% or 100 times more likely to be transmitted on a plane than on the ground. Why? The main cause is low cabin humidity – most commercial airlines fly in an elevation 30,000 to 35000 feet. Humidity runs at 10% or lower causing the natural defense system of mucus in our noses to dry up, creating a favorable environment for germs to infect us. Low humidity doesn’t just cause our noses and throats to dry up; it’s also the main cause of dehydration. It is very common to experience dry and scratchy eyes, dry skin, sticky mouth, headache, sunken eyes, breathing problems and constipation (on long international flights). One of the most frightening risks of flying is deep vein thrombosis (DVT). DVT is a blood clot that develops as a result of being immobile for a long period of time. VTE (venous thromboembolism) occurs when blood stagnates in your veins when you are seated, VTE leads to DVT and can be painful and cause swelling, heat and redness in the affected area, typically in the lower part of your leg. The condition becomes life threatening if part of the clot breaks off and travels to your lungs. This condition is referred to as a pulmonary embolism and it can be fatal. Since the risk of VTE remains increased for about four weeks after you fly, breaking your flight into shorter ones does not reduce your risk of VTE. In summary the more you fly, the higher the risk. Other factors include weight, height (over 6’3” or under 5’3”), oral contraceptives or blood disorders that increase your clotting tendency. For long-haul passengers and frequent flies alike, one of the most irksome side effects is jet lag. Jet lag occurs when your body’s internal clock is disrupted by crossing multiple time zones in a short period of time. Jet lag can be responsible for sleep disorders, digestive distress, and abnormal fatigue during daylight hours, memory problems, headaches, and irritability. For some of us takeoff and landing may cause the gases trapped in our bodies to respectively expand and contract. This change causes a difference between the air pressure in the middle ear and air pressure in the environment. This condition is called airplane ear or ear barotrauma. Symptoms include ear pain, the sensation of a blocked ear, ringing, vertigo and vomiting. Extreme cases may also cause bleeding from the ear and hearing loss. Sound daunting? Don’t despair because there is a solution – Pam’s Pretty Limousine Service. 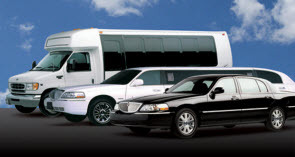 The next time you have a short domestic flight; hire a limousine service instead. 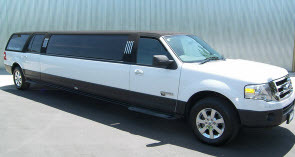 Pam’s Pretty Limousines offers many transportation services to both local residents and visitors of North East Illinois and North West Indiana. 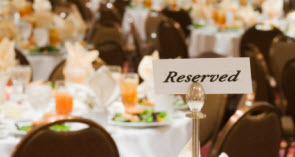 Our professional, uniformed chauffeurs will pick you up in any of our first class vehicles and you will arrive at your destination in comfort and style. Contact Pam’s Pretty Limousines today and speak with a customer service professional about our corporate and executive car services.